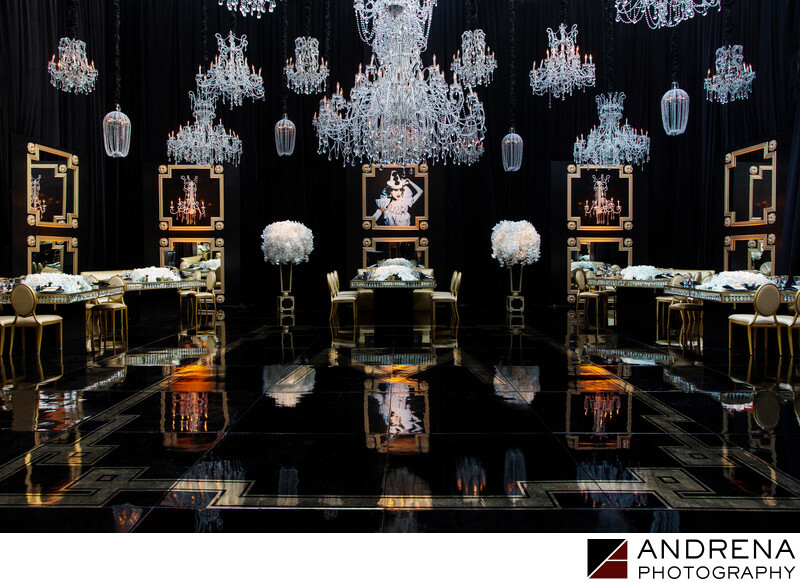 This stunning black ballroom was part of a truly gorgeous Beverly Hills event, and I was delighted when my team and I were chosen as the party photographers. Designed by Sonia Sharma Events and Revelry Event Designers, this black, white and gold ballroom was a sight to behold. The ceiling was actually open-air, meaning that the guests could look up and see the summer stars. The chandeliers were hung off various latticework truss structures erected to support the custom tent. No additional light was required to shoot this room, as the daylight provided perfect light on a black on black room. Grace Ormonde Wedding Style chose this image as the first in its Reception Decor section in the Spring/Summer 2016 issue, and the image itself ran on two full pages. This ballroom was also featured in greater detail on eight full pages in the current issue of Luxury Weddings and Style (a Russian publication).